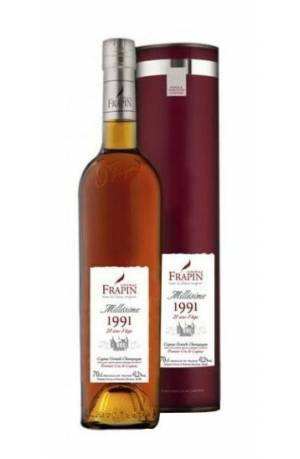 A Cognac distilled from Grande Champagne grapes, harvested exclusively at Chateau Fontpinot in 1988. A very vanilla Cognac with a very long final dominated by candied fruit and hints of peppery spices. 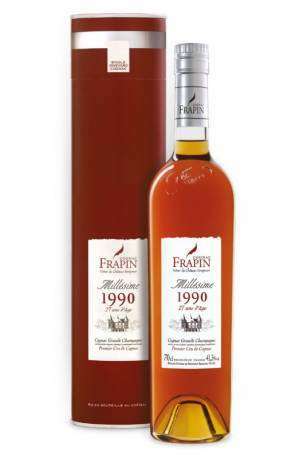 Settled in the south-west of France since 1270, the Frapin family has been a family of winegrowers, then distillers, for more than twenty generations with 240 hectares of vineyards in the Grande Champagne area. It is the Grande Champagne region, classified Premier Cru from the Cognac region, who became their land of choice since the family settled in the Castle of Fontpinot. It the Frapin family tree can be found famous writer Antoine Rabelais, in the 16th century. As a nod to history, the Frapin House’s logo is the writer’s golden quill. The wines are distilled with lees at Frapin’s. After tradition double “charentaise” distillation, the new spirits are stored for a quarter in new barrels and the rest in older red barrels. 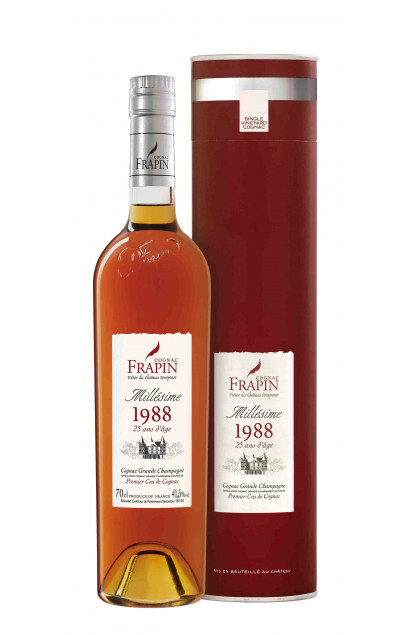 The Frapin House elaborates a wide range of Cognac, the oldest dating back to 1888.